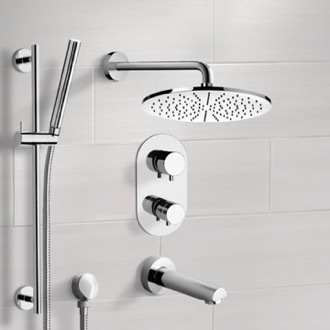 Shop our selection of shower systems and get FREE shipping on all orders over $99! 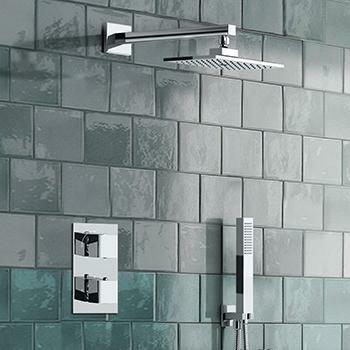 Shower systems are coordinated bathroom fixtures that marry form with function. 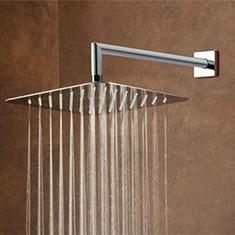 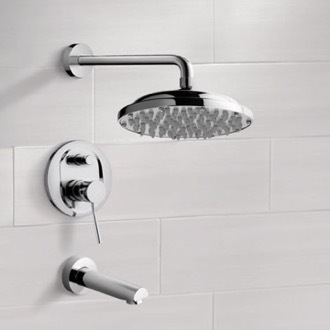 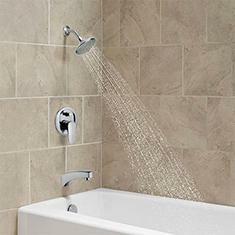 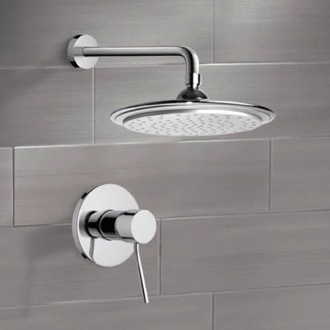 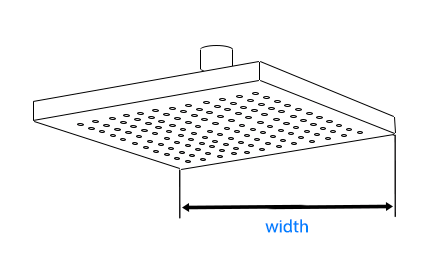 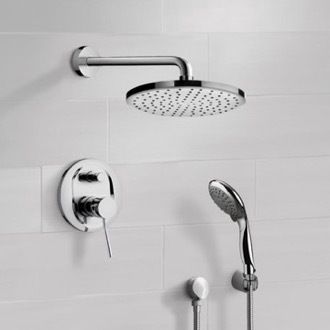 A good quality shower system may include a shower head, shower valve, and tub spout. 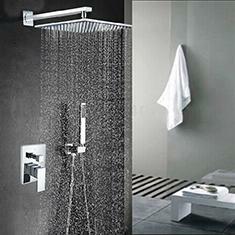 More upscale shower systems also incorporate a handshower or jets to up the luxury factor. 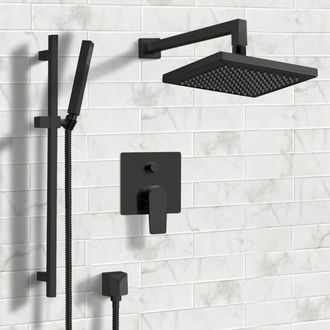 Whether you?re looking for a rain shower system or something more traditional, there are plenty of finishes and features to choose from. 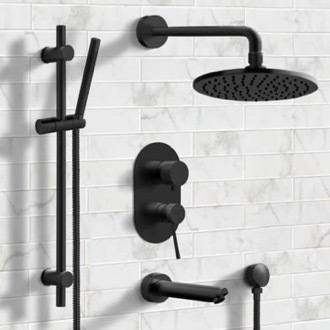 More shopping tips Our group of shower systems offers dynamic functioning and visually stunning designs to enhance every aspect of your washing experience. 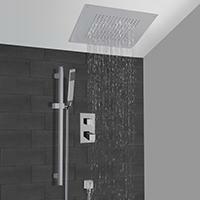 We offer shower systems using diverters that have the ability to disperse water at up to three different outlets. 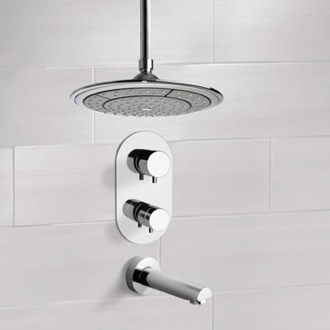 With a three-way diverter, the shower system is able to divert water through a showerhead, a hand showerhead and a tub faucet. 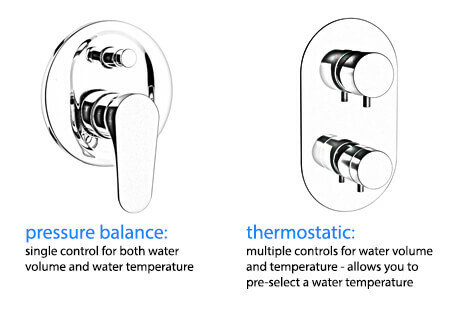 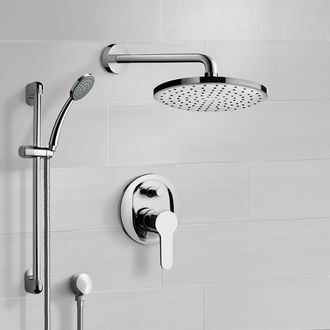 Our basic shower systems feature only the most essential pieces needed to effectively run your shower, including both a showerhead and a one-way diverter to control the temperature of the water coming out of the showerhead. 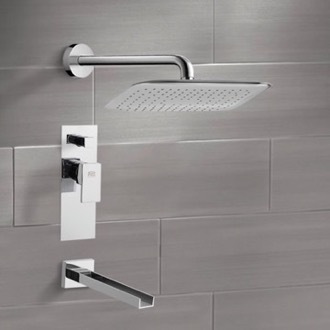 These one-way diverters don't contain all the features of a three-way shower system, but they are often less expensive and take less effort to install. 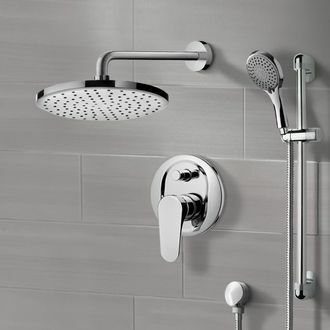 When deciding which shower system is right for you, there are many different aspects to consider. 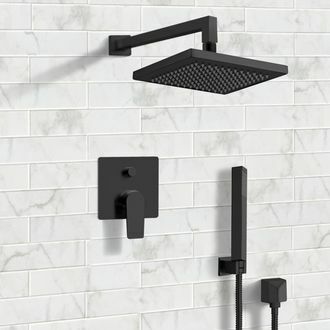 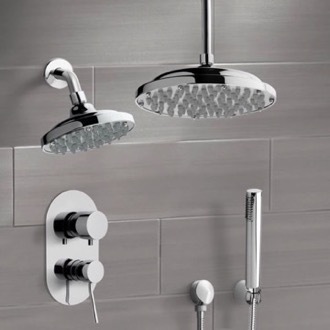 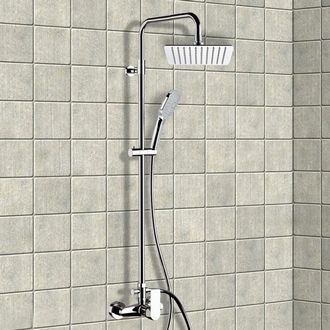 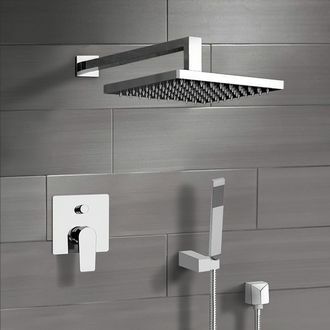 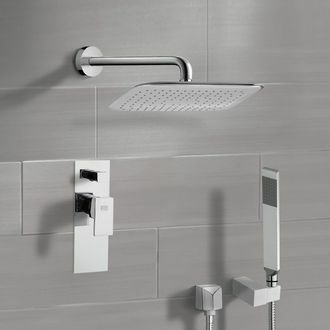 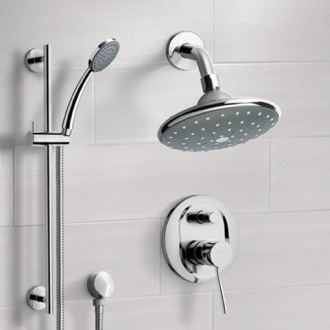 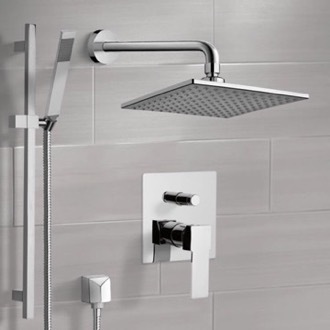 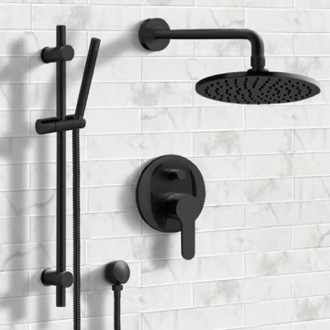 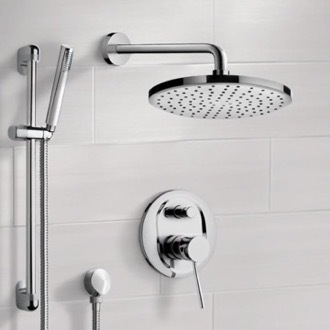 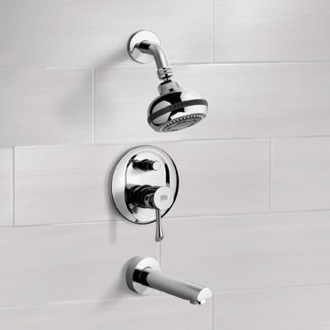 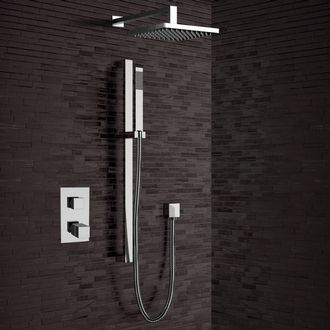 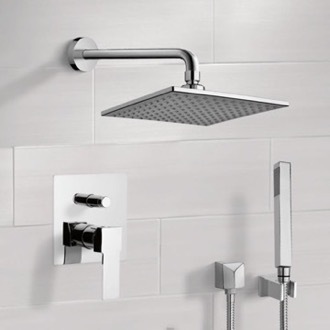 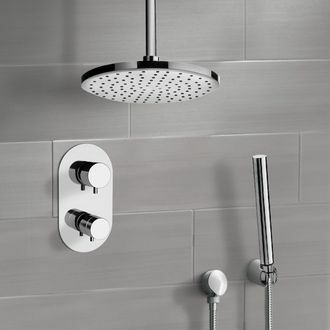 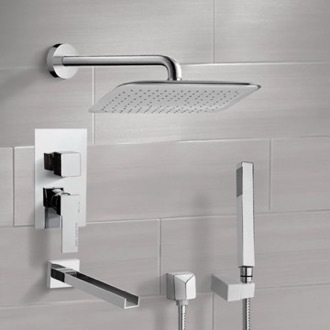 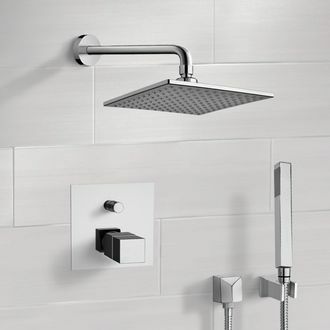 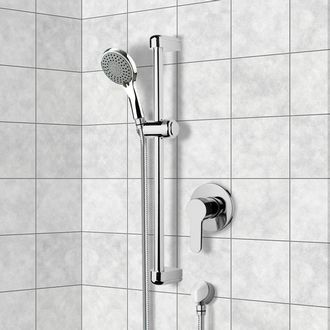 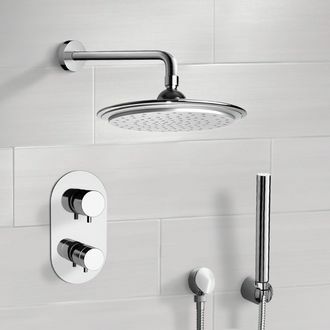 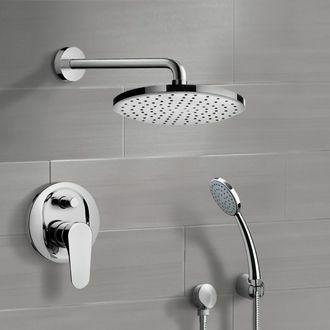 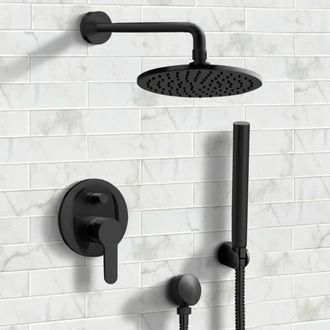 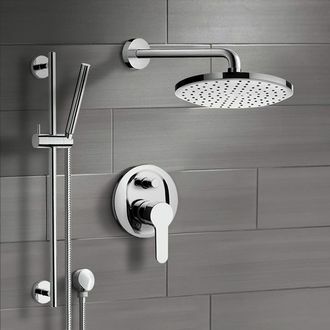 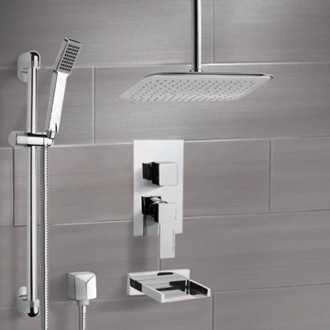 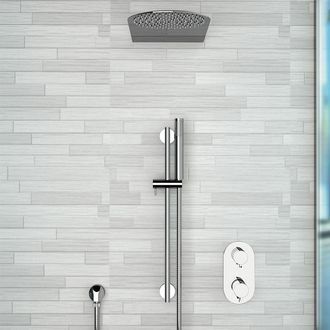 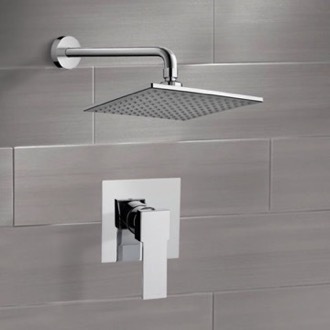 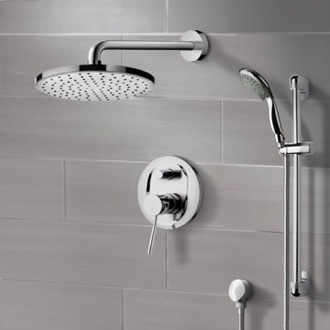 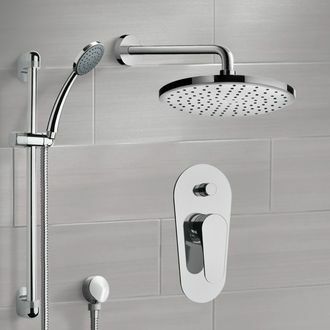 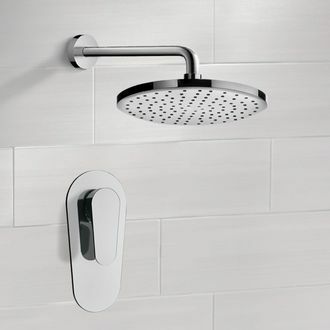 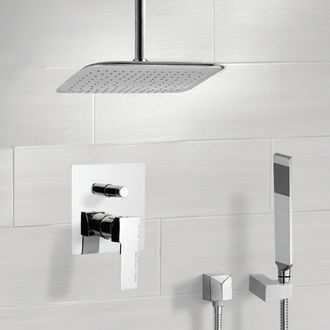 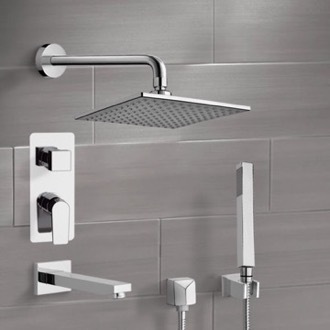 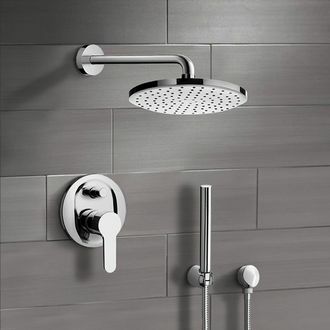 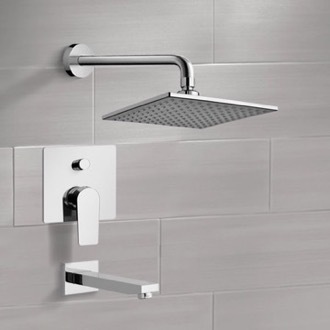 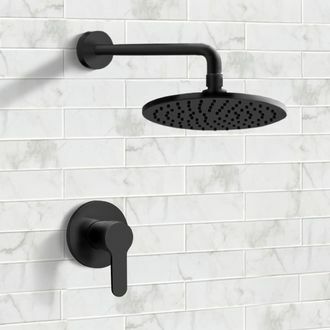 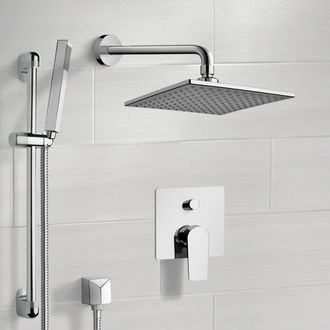 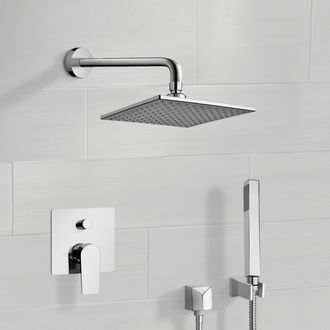 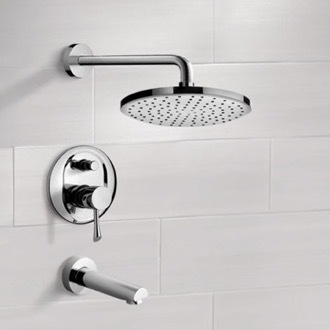 Shower sets come in a variety of different style wall and floor mounts, showerhead shapes and styles, and also the inclusion or exclusion of a hand showers and tub faucets. 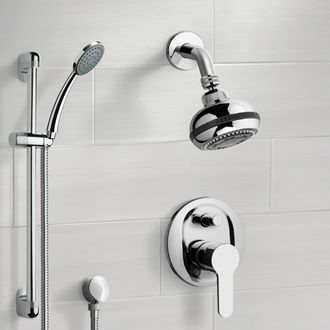 After you decide exactly what functions you want your shower set to have, the next step is deciding what style you want for your shower set. 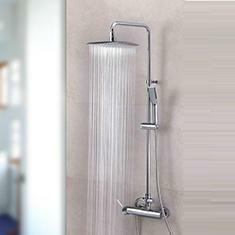 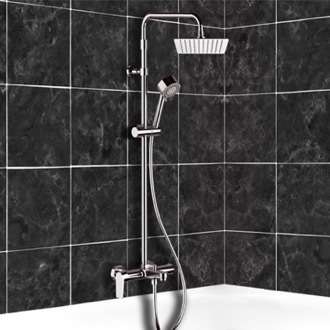 Here at the bath outlet, we offer vintage, modern and contemporary style shower set designs. 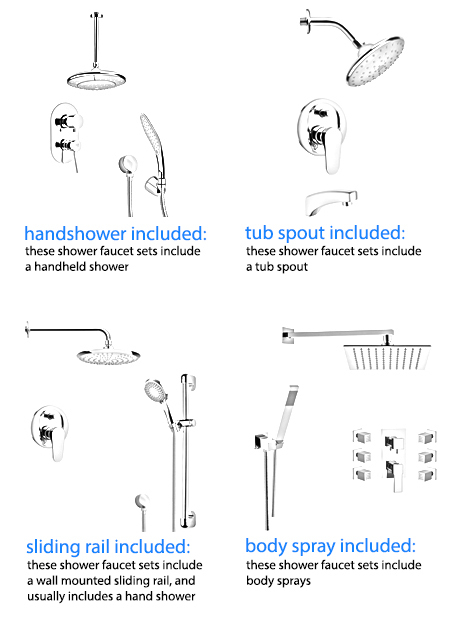 The entirety of our shower sets is offered in a brilliant chrome finish. 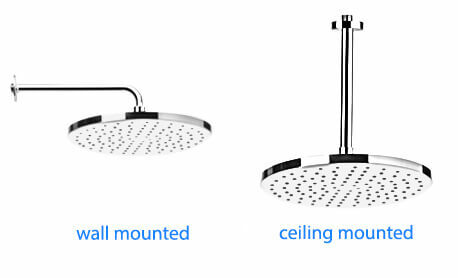 Whatever type shower system you have in mind, we're confident you'll find one that suits your specific preference. 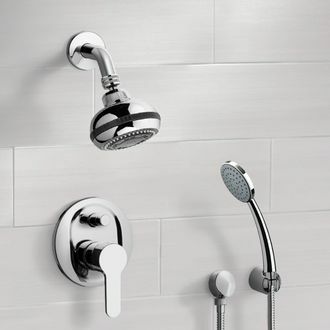 The reliable European brands we currently have in stock are ready to ship and offer the utmost durability and dependability.